Following on from the last couple of evenings, last night I decided to make my kit from the steampunk Crafty Creatives kit. 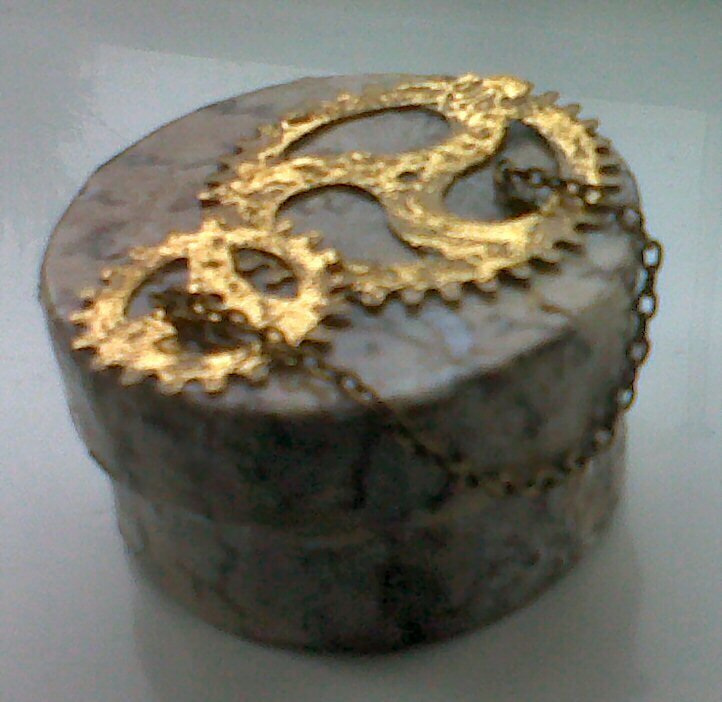 This was to cover a small trinket box in decoupage. To be honest I'd only left it this long because only the Husbeast knew where the huge pot of PVA glue was and I kept forgetting to ask him. Before I started I used the foil transfer paper on the cardboard cogs to give them a nice metallic finish and then set to it. The Husbeast tried to make me a glue spreader from a piece of milk carton but it was too stiff and didn't work so well. So instead I got mess and used my fingers, which was of course much more fun. 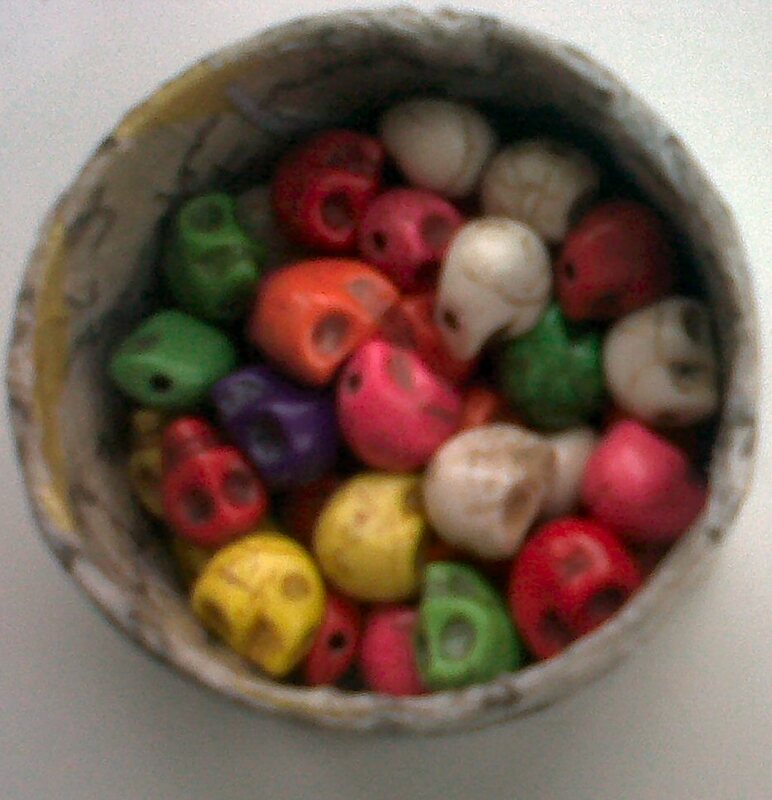 I'm going to fill it with some skull beads I bought for someone in Lincoln and give it to then next time I see them. 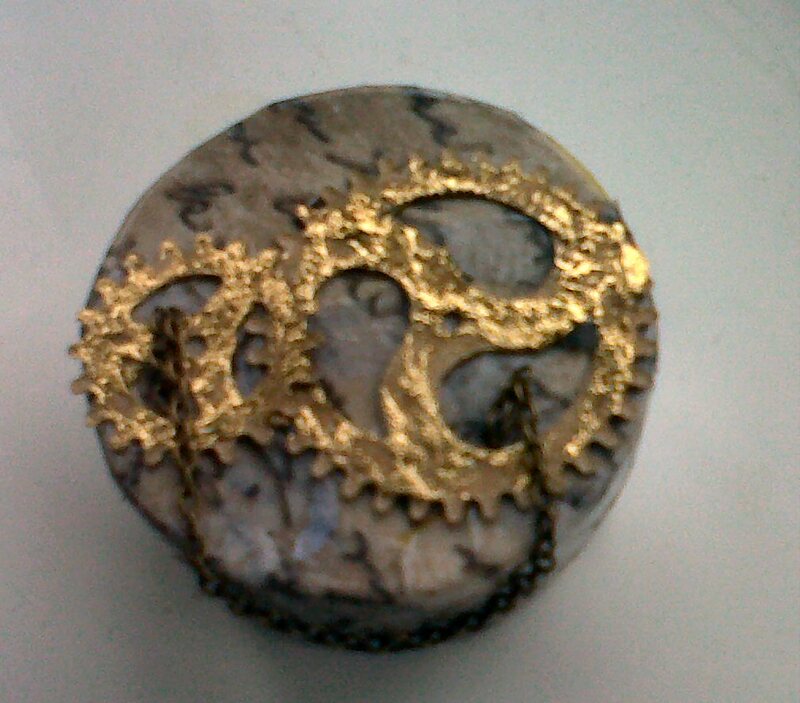 Because what says "I saw this and thought of you" better than a steampunk themed box filled with coloured skull beads?